This piece first appeared on Inspire My Style. See the author’s bio and contact info below the post. I have been toying with the idea of creating a capsule wardrobe for some time now. Mainly because every time I log into Pinterest, I am bombarded with pins about decluttering and the minimalist lifestyle. I agree. 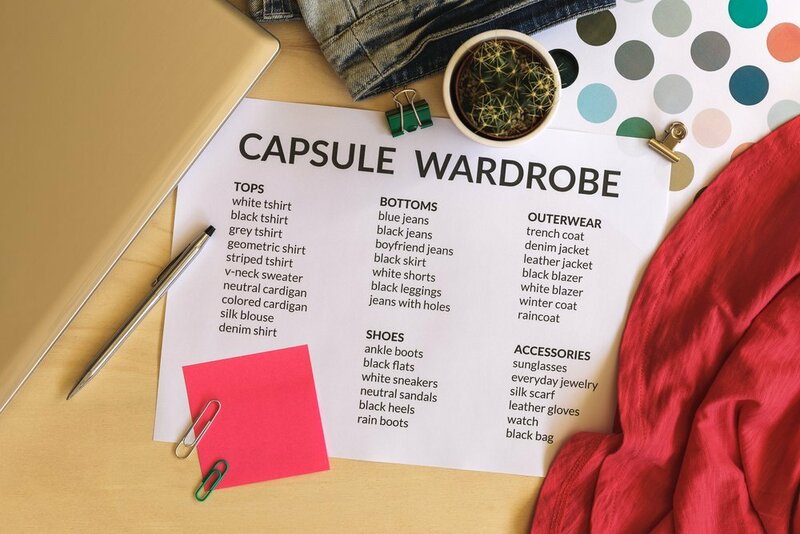 We all have too much stuff but I wonder…is a capsule wardrobe right for me? 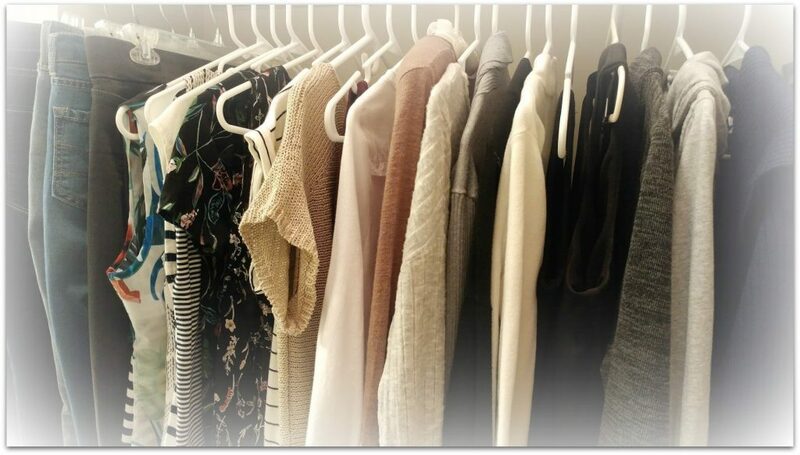 Let’s start with what a capsule wardrobe means…what is the definition? “Capsule wardrobe” is a term coined by Susie Faux, the owner of a London boutique called “Wardrobe” in the 1970s. According to Faux, a capsule wardrobe is a collection of a few essential items of clothing that don’t go out of fashion, such as skirts, trousers, and coats, which can then be augmented with seasonal pieces. Okay…that is how the concept began about 40 years ago. I can buy into the philosophy of using a few pieces of clothing and building a simple, classic style from there. My style of dress has never been one that included a myriad of styles, countless pairs of shoes and a collection of purses. I’ve always been fairly simple in my choice of clothes and looks. But what else? After reading multiple articles, it became clear that there were many benefits from embracing this trend. You have too many clothes. Do you have items laying around your bedroom? Is your closet stuffed to the brim? Do you forget what’s in there? It take you forever to get ready. Do you have trouble deciding on what to wear? Do you put one thing on and then switch it out for something else? You waste money on pieces you wear once or never. Do you have anything in your closet that still has it’s price tag on? You end up wearing items you hate. Have you ever worn something that you know you should have thrown out long ago just because you feel like you don’t have any choice? You can’t find what you want, when you need it. Do you remember buying something but then can’t remember where you put it? If you answered yes to a few of the questions above, stay with me as I explore some more. 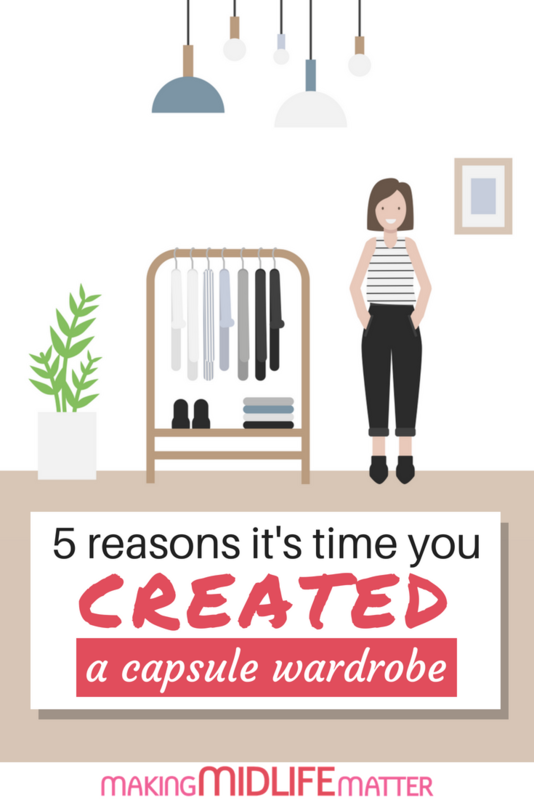 I did some research about how to create your own Capsule Wardrobe, and it was pretty interesting. Approach #1: Set aside a certain number of clothes and wear them for 3 months, then switch them out for a different, seasonally selected, set and wear that capsule wardrobe for 3 months. When a piece of clothing is worn or outdated, replace it. Approach #2: Have 10 to 14 outfits that you love, feel good in and are appropriate for your lifestyle. Wear those outfits. Approach #3: Categorize your wardrobe into 3 parts – wardrobe staples, investment pieces and fashion items…have a selection of each. Approach #4: A curated selection of quality clothing and accessories that reflect your personal style and can be worn interchangeably to create a range of outfits, minimizing wardrobe clutter. Wear the best quality pieces you can afford, maximizing the versatility of each, to create a variety of outfits and looks that can take you from day to night and fit your lifestyle. Use those pieces as your wardrobe. You will spend less money on clothes, find it easier to get dressed because the choices are fewer, and ultimately it will simplify your life. What’s In My Capsule Wardrobe? I selected a total of 27 pieces of clothing and 5 pair shoes/sandals, for a total of 32 items. And, a purse. Just one. I love unique purses, but the reality of my life is that one works just fine. I own a couple of clutches for those rare, special events when I don the little black dress and head out on the town, but that would be about the only time the purse would change. Need help creating your minimalist wardrobe? Start with these 6 essential capsule wardrobe pieces. So, I asked myself the question again. 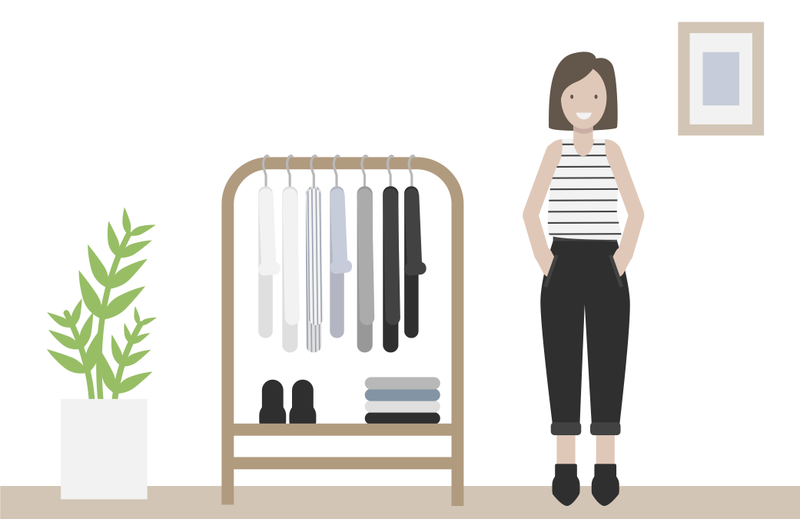 Is a capsule wardrobe the right choice for me? I’m not sure, but I’m going to give it a go and work with the 33 pieces that I selected today. They will remain as a group in my closet for the next few months, and will be the items that I choose from every day. The rest of my clothes are still in the closet, but they’re set aside so I won’t get them mixed up. We’ll see what happens. Candi is a midlife blogger and you can find her at Inspire My Style. She promotes aging naturally and living a healthy lifestyle. She writes about being casually fashionable and shares home decorating ideas. Candi lives daily in faith and is a self-prefessed coffee snob.